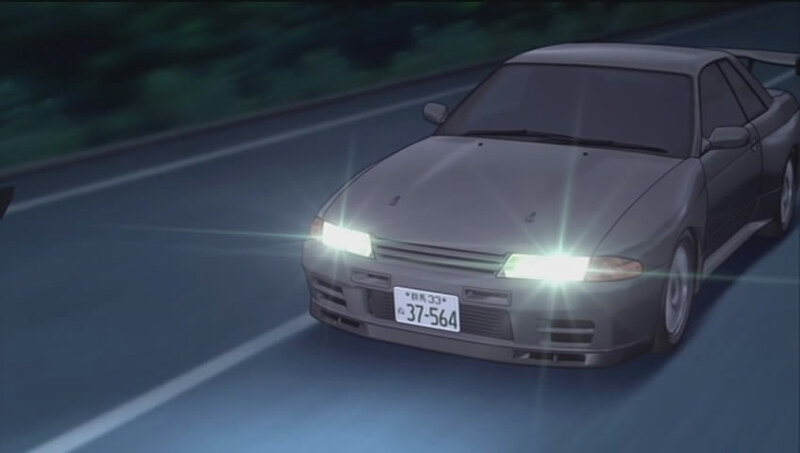 IMCDb.org: 1990 Nissan Skyline GT-R Nismo [R32] in "Inisharu D, 1998-2014"
Fixed. And his real name is Rin Hojo. 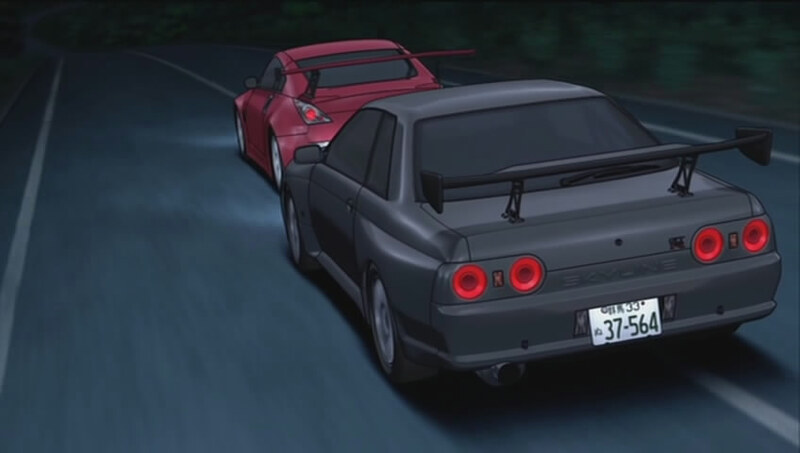 This is actually an R32 GT-R V-spec II (same as Nakazato's black R, model year 1994). Edit: My bad. Evidently V-specs could be bought with the N1 or Nismo package, which would have that front bumper. 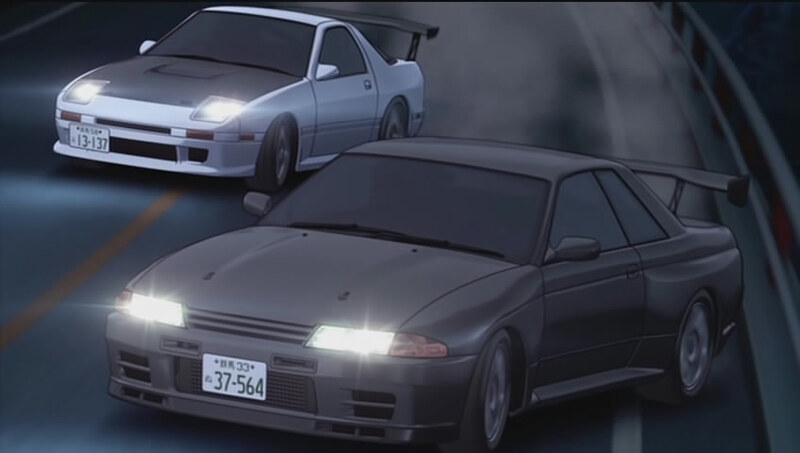 So this an R32 GT-R N1 or Nismo. Possibly V-Spec or V-Spec II, I don't see any defining features that would make it that though. It's missing the stock wheels that would give it away that it's a V-spec. It is most likely a V-spec as I just found out that N1 is basically a version of the V-spec, however there was a non-V-spec N1 made, at least in 1992.